Kids are called digital natives these days, which means many of them get online even before they learn to talk. They’re raised connected. But although they easily master the Internet on a level you’ll probably never reach, you still need to teach them some basics on how to stay safe there. There’s as much good as bad on the Internet, and just as kids need to learn to cross the street safely or to brush their teeth the right way, they also need to know how to behave on the Internet, what to do and what not to do online. And for kids, the consequences of doing something wrong may be significantly more serious than for adults. But how do you teach your kids about “strong and unique passwords” or avoiding cyberbullying and phishing? Well, if your children love reading, you have a new tool. Although there aren’t a lot of Internet safety books for kids, some do exist, and now there’s one more — Marlies Slegers has written a book called Kasper, Sky and the Green Bear, a short illustrated story for kids ages 6 to 9 (good ages to expand a child’s knowledge of online safety) that was written to be fun for kids to read and that can help them understand what is OK in the digital world and what is not. It features Kasper, the 9-year-old protagonist of the story, Sky, also 9 years old, his classmate, and — you guessed it — Midori Kuma, the green bear who helps the kids. The book touches on concepts of privacy, passwords, bullying, and a few others. It can’t replace you as a parent in educating your kids, so don’t rely on it as the single source of information about staying safe on the Internet for your child. You’ll still have to sit down with them and talk, a lot. But the book will make it easier to explain some of the concepts and may help them settle inside your kid’s head. And we still recommend using a parental control solution such as Kaspersky Safe Kids, because you can’t watch over your kid’s shoulder all the time. And now for some more good news: You can download “Kasper, Sky and the Green Bear” right here — in PDF format, free. 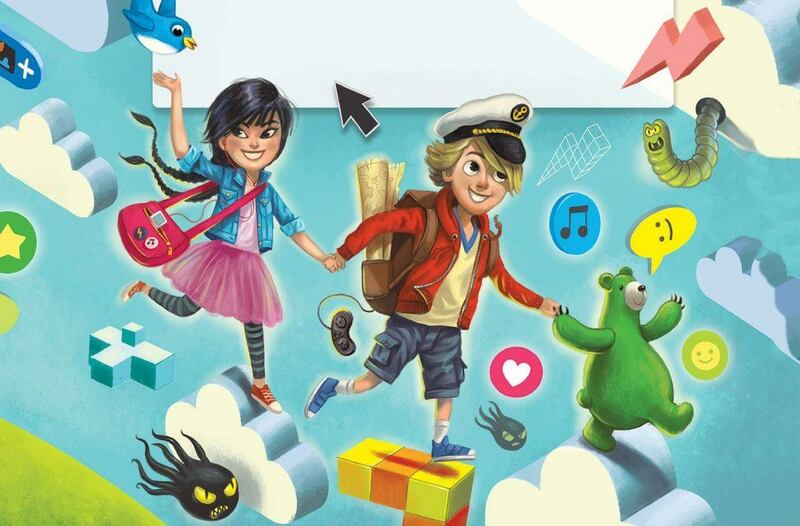 We hope your kids enjoy reading it and that it helps them learn to use the Internet in a safe way.